We don’t drive the same cars for a reason, therefore, our service plans also don’t have to be a one-size fits all option! The below example shows you what you might expect to pay for a Service Plan for a light passenger vehicle (e.g. a Toyota Yaris), a Service Plan for a luxury german sedan (e.g. 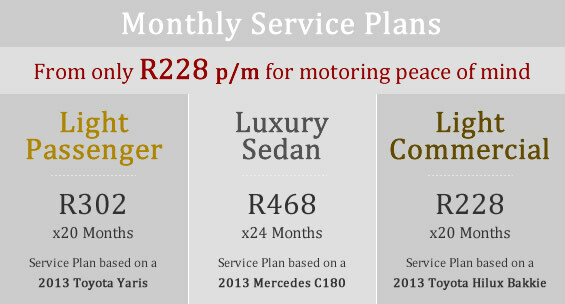 a Mercedes C180) and a Service Plan for a bakkie or light commercial (e.g. a Toyota Hilux). Obviously your car may differ somewhat in year and mileage and therefore the price will not be exactly as displayed below, so it’s best to check directly with us. Please find below details of the monthly price plans. NOTE: Your personal information is confidential, and we will never rent or resell it to anyone. It will only be used to call you back and then provide you with a service plan solution. As long as it has been on the road for less than 10 years, and/or hasn’t registered more than 250,000 km on its odometer, you qualify. It’s important to remember when comparing any of the options that these are service plans and not car warranties or maintenance plans. 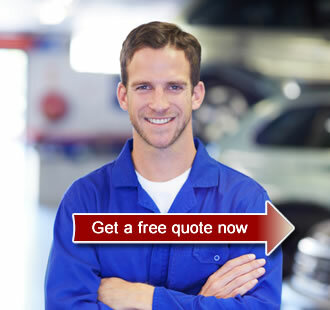 This service plan will help you pay for the regular servicing of your vehicle.